What are the ingredients for great science fiction? It's hard enough to define science fiction — but what makes for truly great SF? What's the crucial element, the X-factor? TimeSplash author Graham Storrs argues it's all about exploring who we are as humans. "Science fiction is a kind of story in which science or technology plays a central role, both in terms of plot and theme, and the science or technology elements are beyond our current knowledge or capabilities (without violating what we already know), permitting the exploration of novel ideas and the reaction of humanity to them." You will probably agree that it is not bad, leans towards the ‘hard' end of the sci-fi spectrum, and emphasises the ‘literature of ideas' view of sci-fi (which I endorse, by the way.) It has its minor flaws ("the reaction of humanity" need not appear in a sci-fi book, although the reader's reaction is probably being sought) but it is alright for all that. I read it because I started mulling the issue of what sci-fi is about (yet again) while I was at Worldcon. And not just "What is science fiction?" but "What is good science fiction?" I sat through a couple of sessions, and had a couple of conversations, with publishers who were, mildly or bitterly, bemoaning the fact that great sci-fi simply does not cross their desks. They want it, they'd know it if they saw it (they say) but it just isn't there to be had. Only one person said anything that was actually thought-provoking. He said something like, "I want to see a manuscript that shows me a future that might happen and asks, ‘Is this really what we want for ourselves?'" I have to say, I was quite taken with this for a while. It seemed to account for what makes many famous sci-fi works so great. Consider 1984, Brave New World, The Handmaid's Tale, Farenheit 451, Timescape, Ender's Game, The Forever War, even the Foundation trilogy. Then it struck me that a great many of the books I love aren't in this dystopian, social commentary mold but I still think of them as great sci-fi. In fact, some of the greatest sci-fi ever is not like this at all. Here, I'm thinking of The Left Hand of Darkness, The Moon is a Harsh Mistress, Dune, Eon, the Heliconia series, Cyteen, and many, many others. 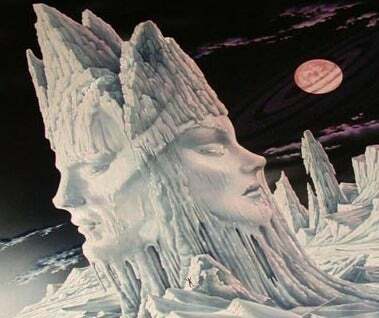 There is another set of books I've always considered great sci-fi, where the world presented in them makes little or no attempt at plausibility. Think The Martian Chronicles, The Sirens of Titan, Vermillion Sands, Hothouse, and so on. Many of these wouldn't even fit the constraints of Brotherton's definition, let alone the much stricter conditions I would normally impose on my own writing. What I make of all this, is that, for me, great science fiction deals first and foremost with the human condition – who and what we are, how and why we live together – and what that implies for our world and our future. The past, present, future and alternative realities that science fiction presents are simply the crucible in which the human dramas are forged. They have to be altered realities because we're looking at conditions at the edge of what we know, we're asking what we might feel and do, what we might become, if we pushed things beyond the here and now. And that means the worlds of science fiction have to be plausibe – else there is nothing to learn. It makes no sense to ask how human nature might respond in a word of unicorns and shape-shifters, because such worlds are fantasies. Finding the answer doesn't get us anywhere. Ask instead what we become in a world of augmented brains and post-petroleum resource wars, and the answer not only sheds light on who we are, but on what we feel about the worlds we might make for ourselves. So, for me, great science fiction involves stories about ourselves and what it means to be human, that confronts us with the question, "Is this really who we are?" It also presents plausible alternatives to the world we know, alternatives which compel the people in them to reveal their nature because of how they challenge us to adapt to them, and which compel the reader to ask that publisher's question, "Is this really what we want for ourselves?'" And if there is some cool science or technology involved, well that's good too. Top image: Cover of The Left Hand Of Darkness by Ursula K. Le Guin, art by Alex Ebel. This post by TimeSplash author Graham Storrs originally appeared at his blog.